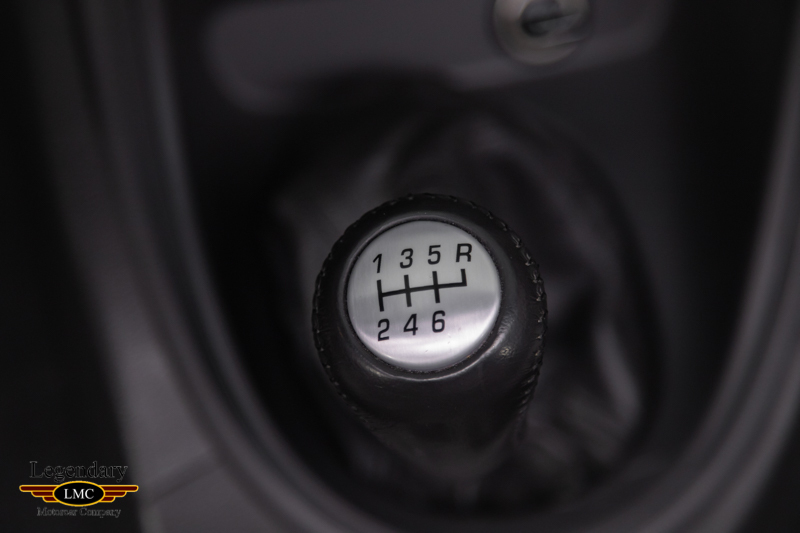 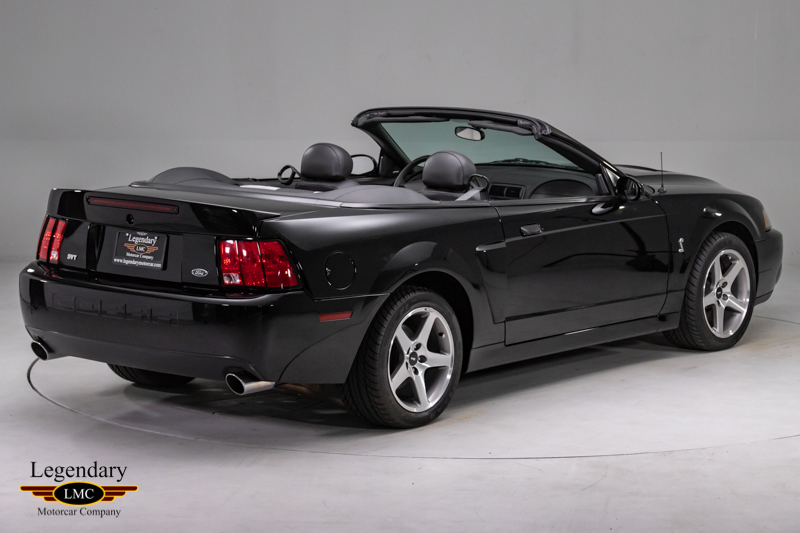 Click any thumbnail below to display the 2003 Ford Mustang Cobra SVT slide show. 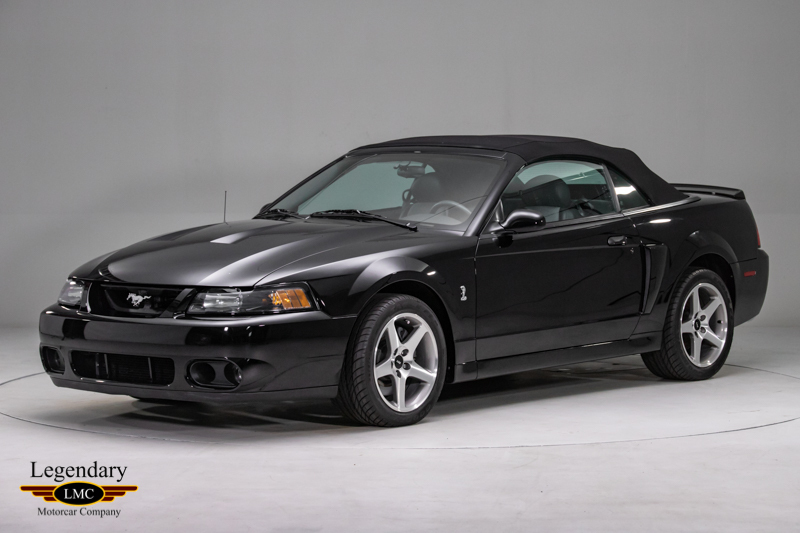 For 2003 and 2004, Ford introduced its new high-performance Mustang SVT Cobra which was named “The Terminator”. 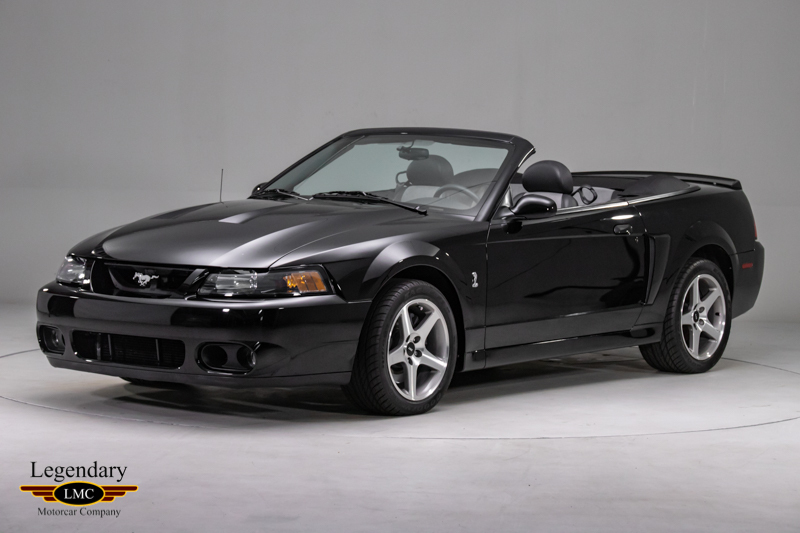 Developed by John Coletti’s Special Vehicle Team program, it was the most powerful, highest-performing production Mustang offered at the time. 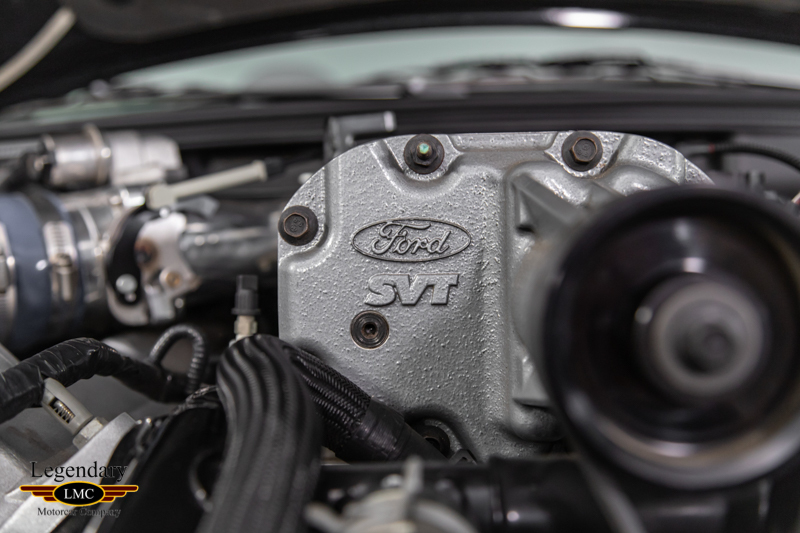 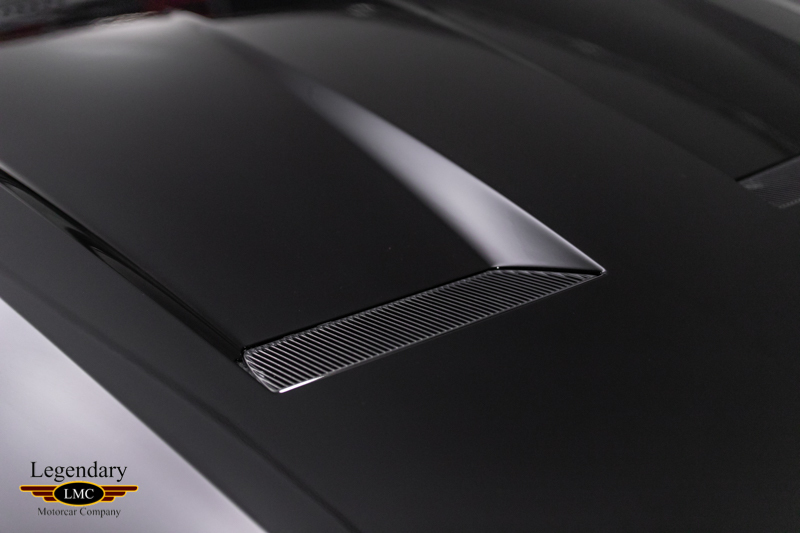 The new SVT model boasted many new changes with the most significant being with the addition of an Eaton Roots-type supercharger to the 4.6-liter 32-valve V-8. 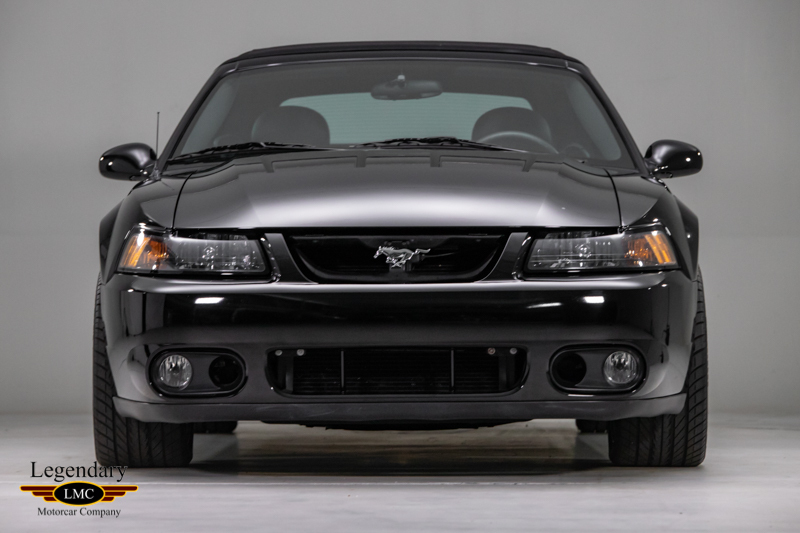 From the naturally aspirated 2001 model’s 320 horsepower and 317 pound-feet of torque, output rose to 390 horsepower, 390 pound-feet. 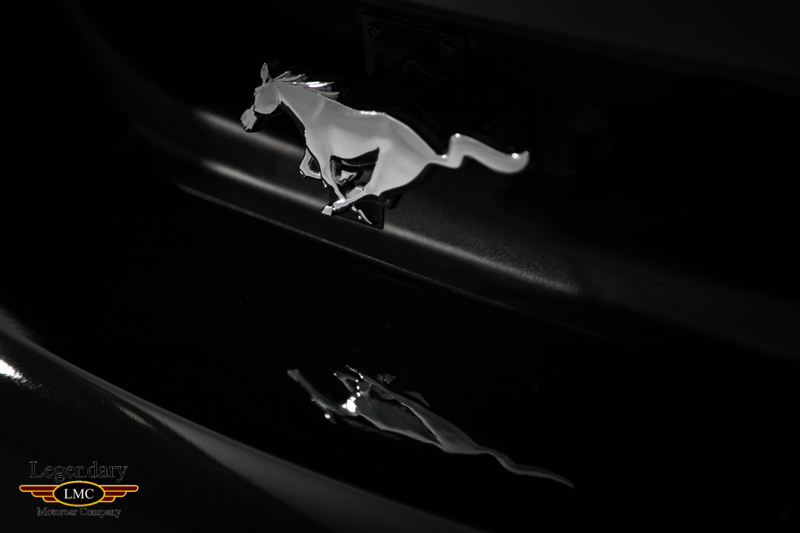 Most will know that these claimed horsepower figures were grossly underrated. 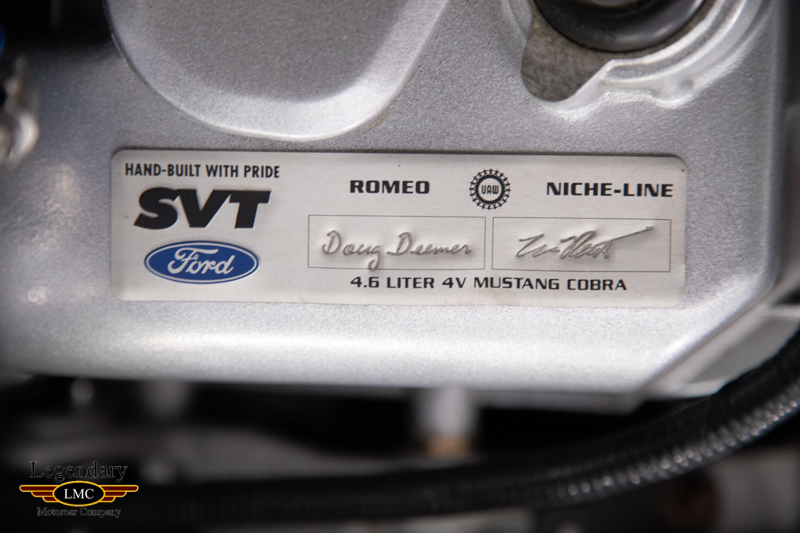 Another massive improvement was the addition for the SVT Cobra was the introduction of Independent Rear Suspension (IRS). 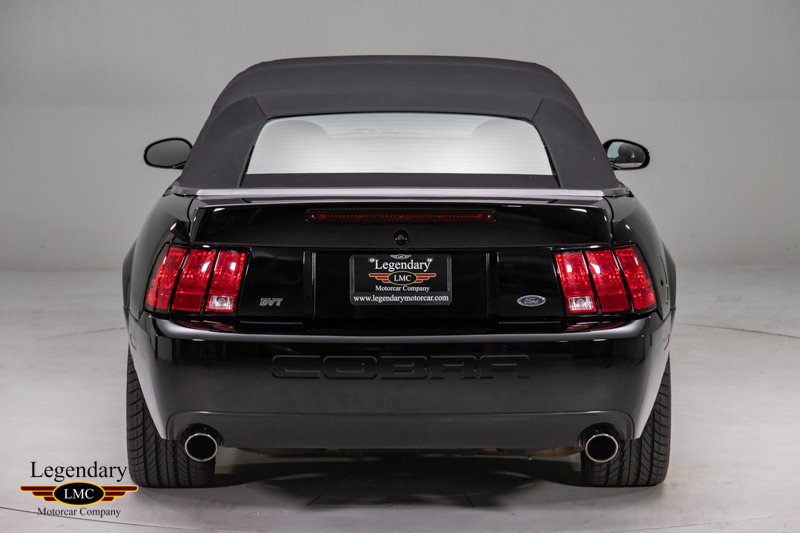 This was the first time IRS would be offered on any Mustang and would take until 2015 for IRS to become standard production. 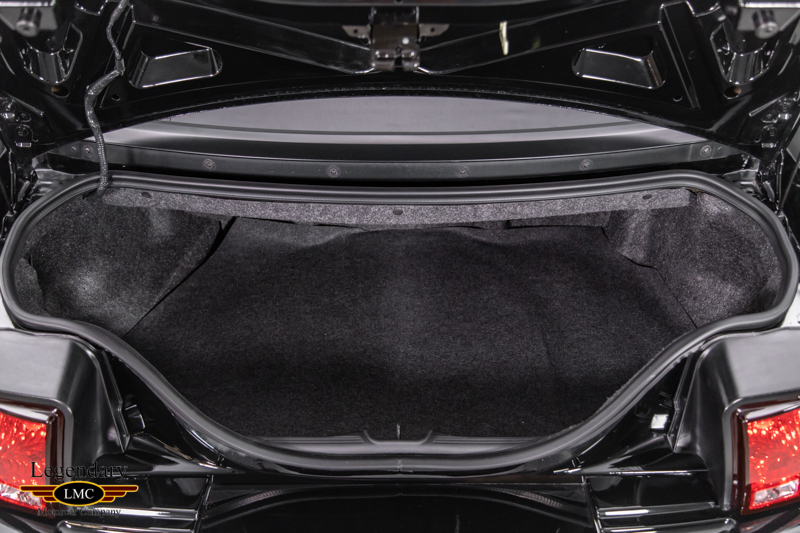 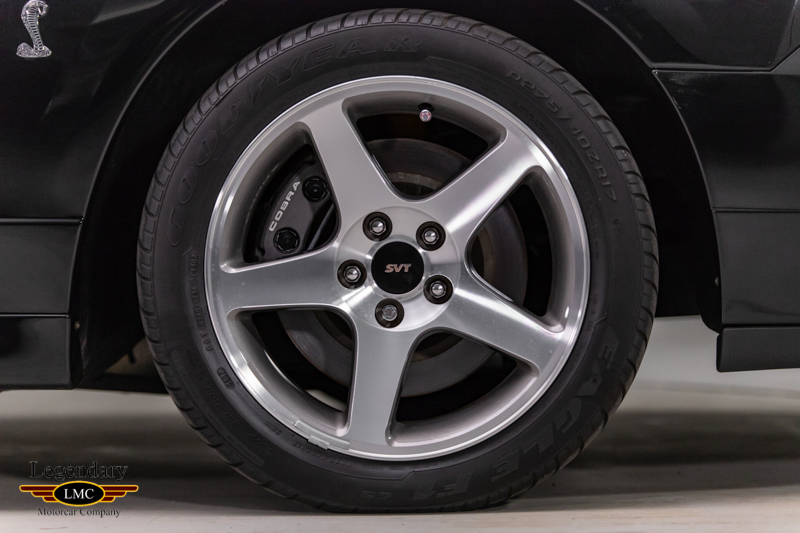 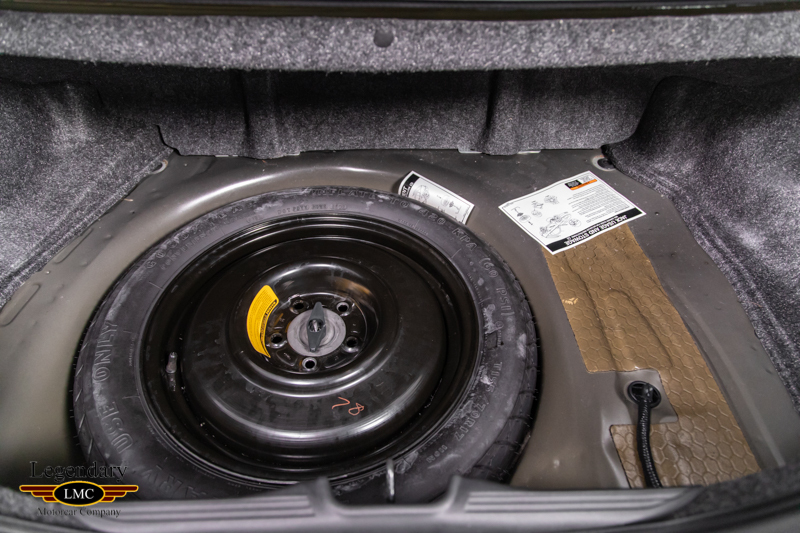 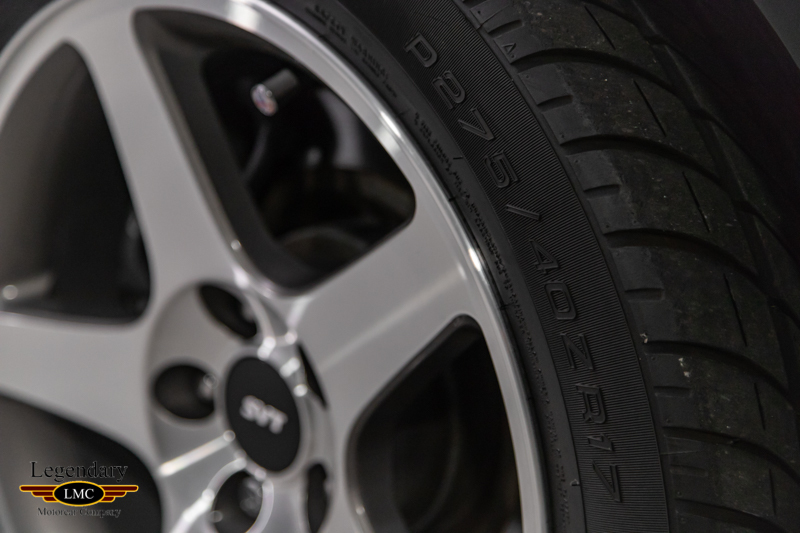 The independent rear suspension, with its cast-aluminum lower arms, maintains adhesion far better than the Mustang GT's live-axle setup, and the standard Bilstein shocks, valved to cope with 600 lb./in. 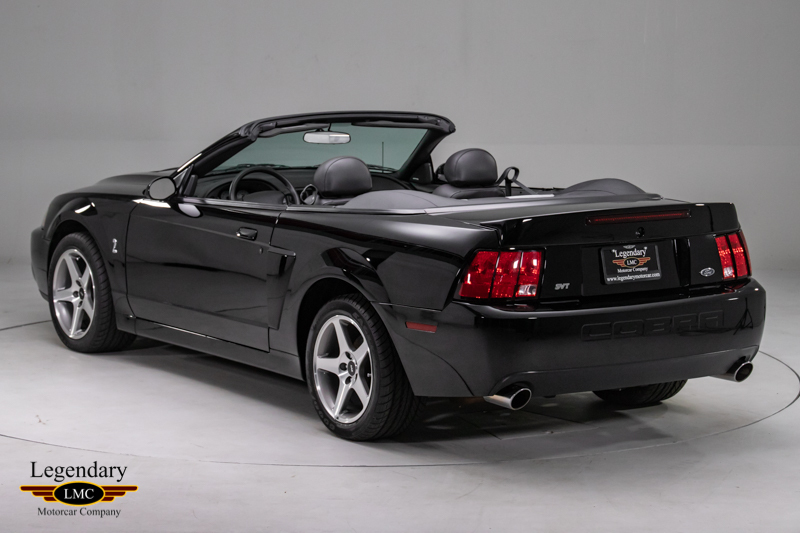 spring rates all around, deliver a firm ride yet enjoyable ride. 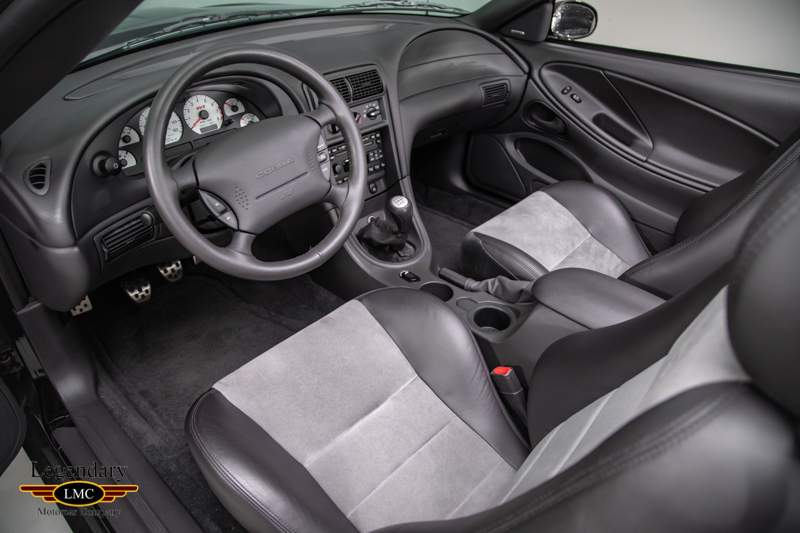 Steering was also upgraded with a better ratio rack and performance tires which amounted to 0.90g of maximum grip on the skid pad.Other standard equipment included the T-56 Six-Speed Manual, SVT Instrumentation, Larger Brakes, Power Windows and Locks, Nudo Leather/Preferred Suede Upholstery with Power Adjust and Power Lumbar/Bolsters for the driver’s seat, Tilt Steering Wheel, Cruise, Security System with Keyless Entry, Mach 460 Audio with Six-CD in-dash changer, and Power top. 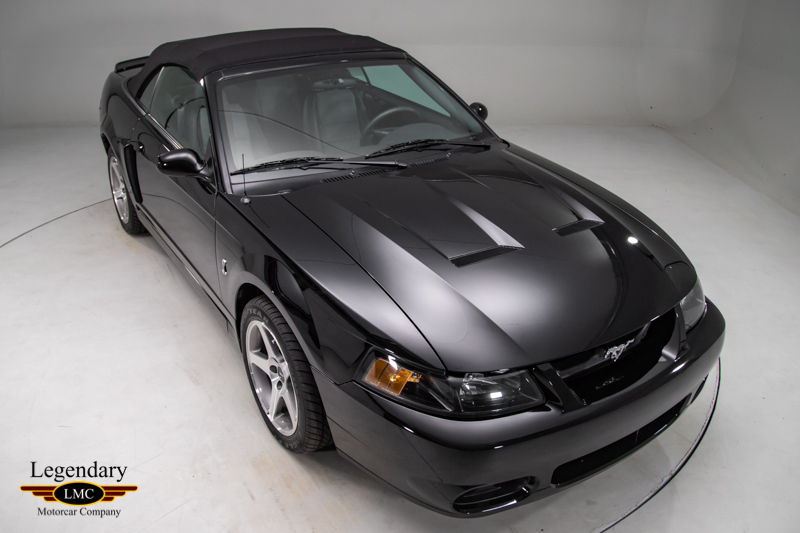 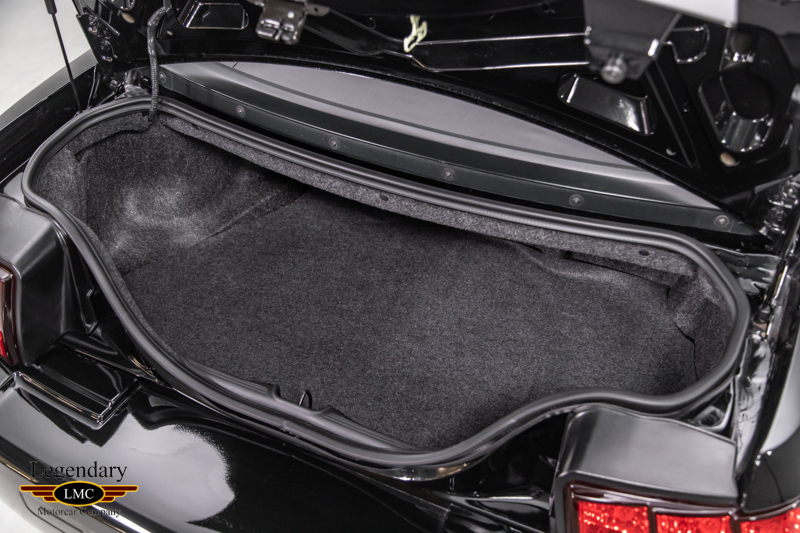 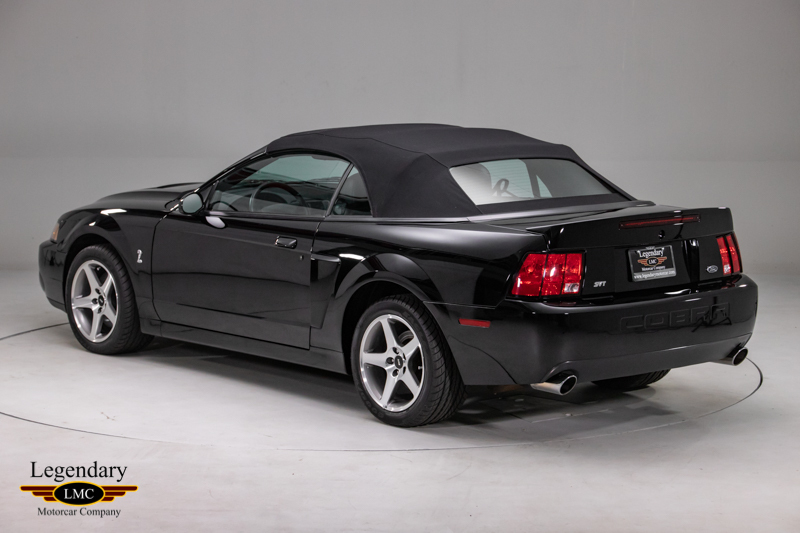 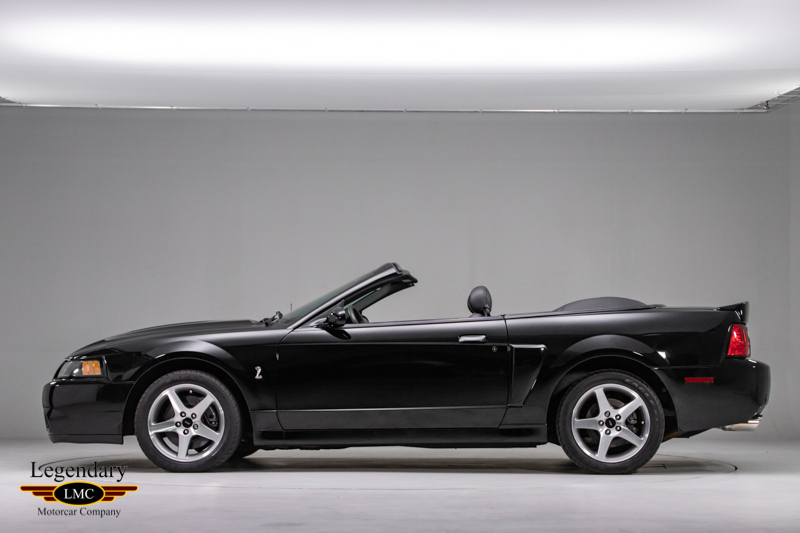 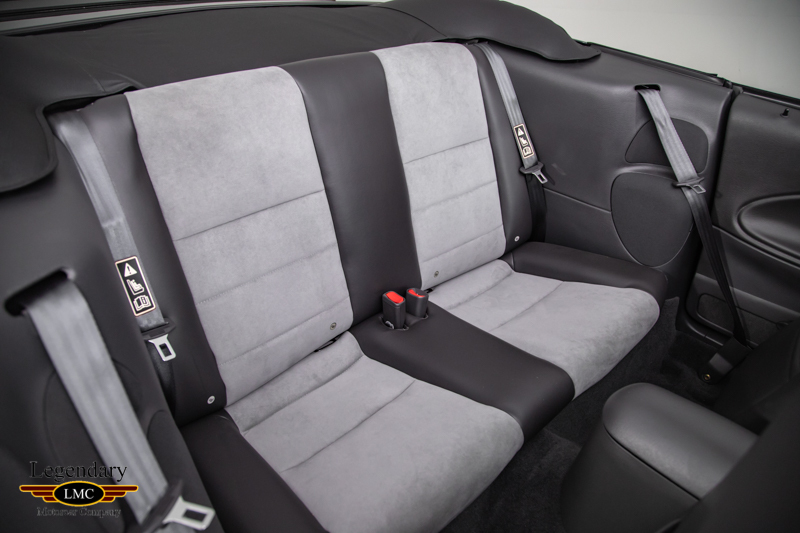 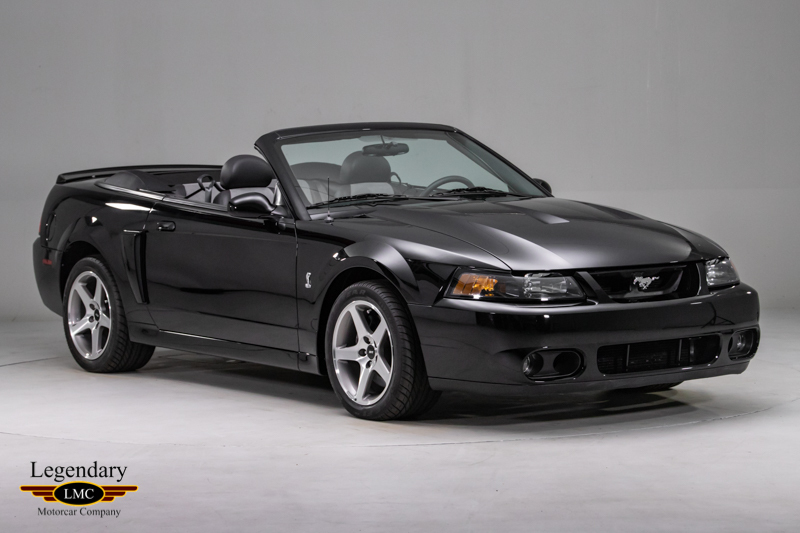 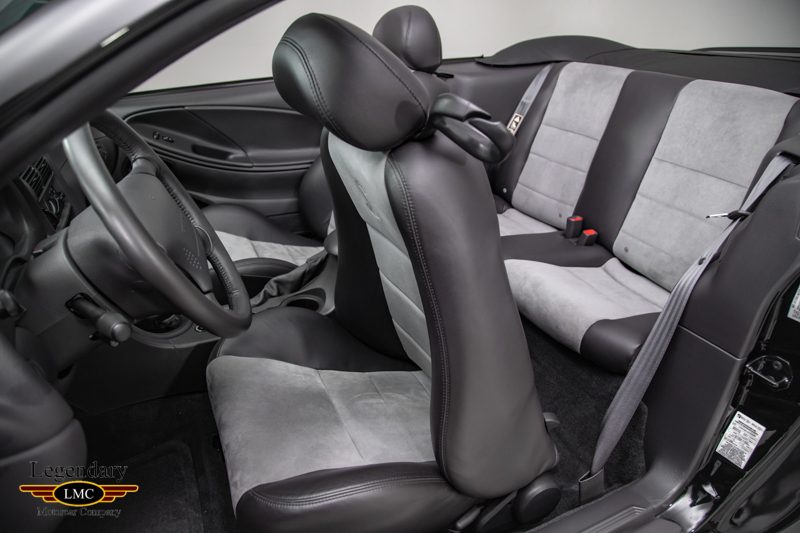 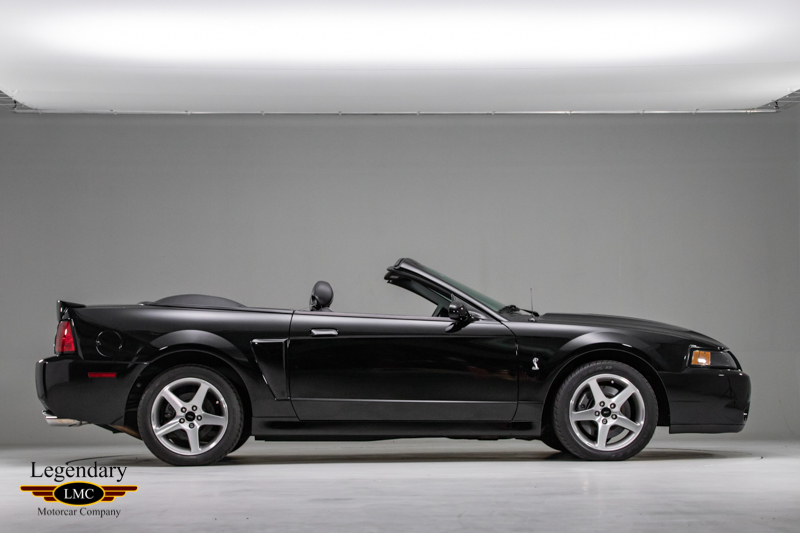 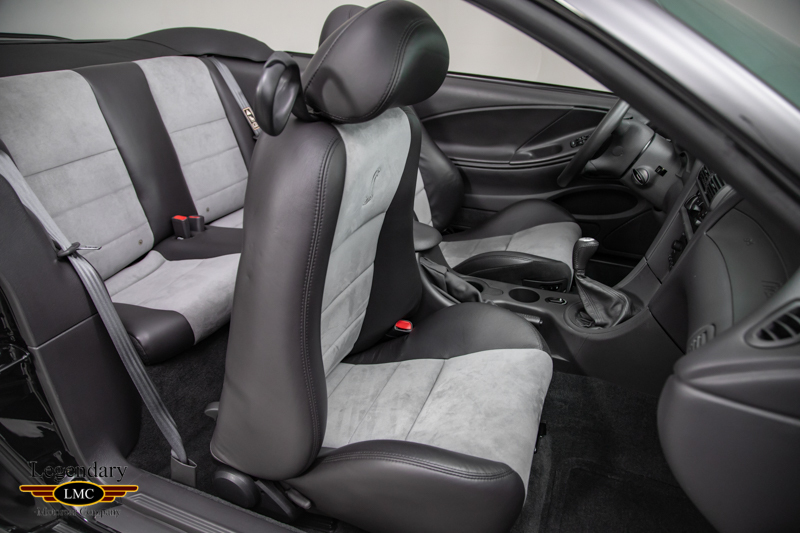 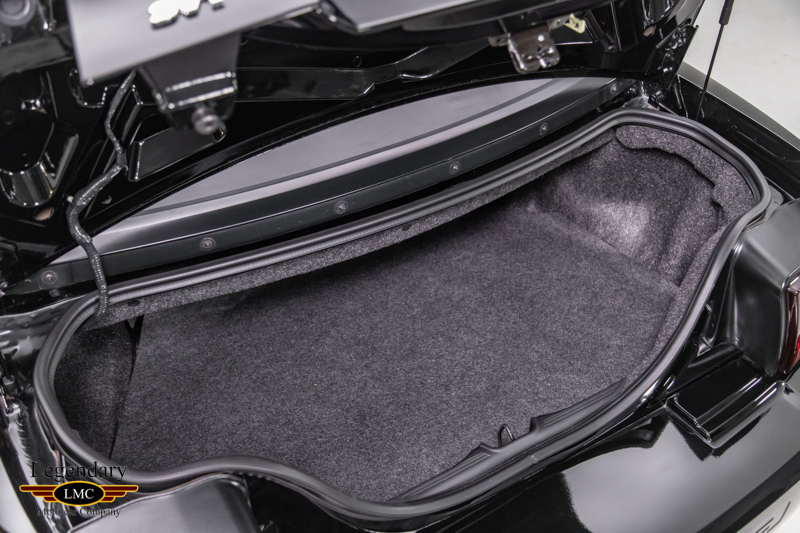 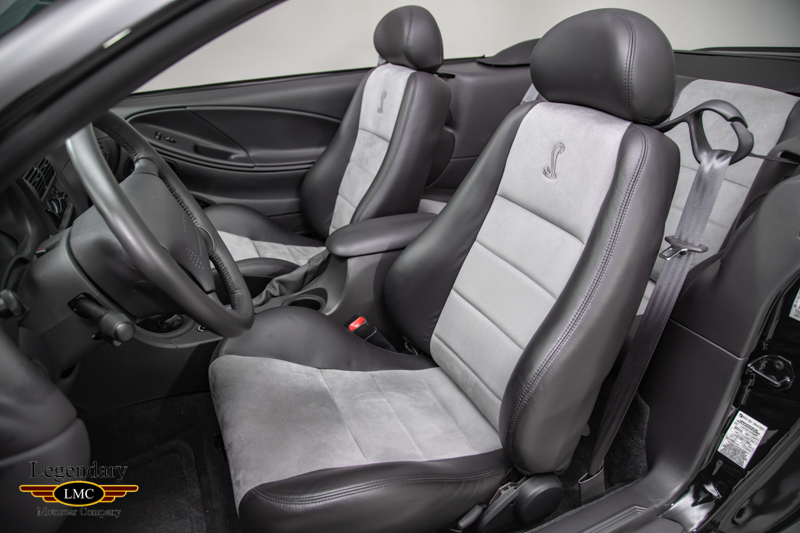 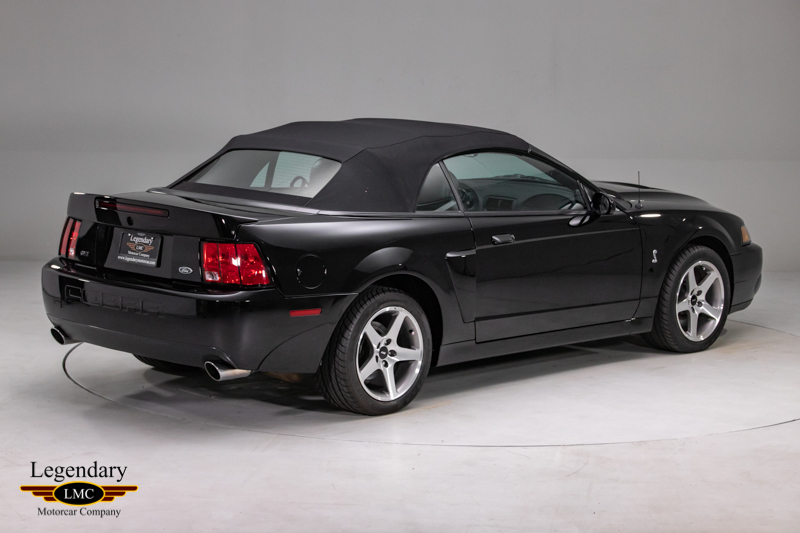 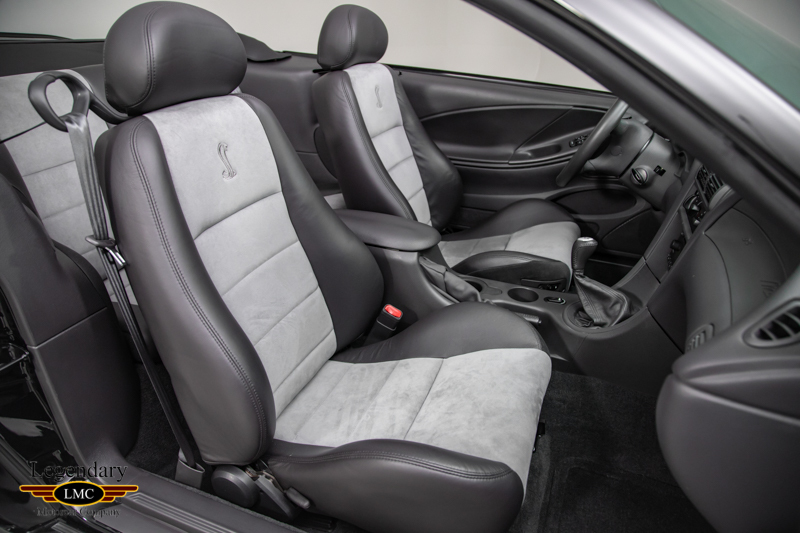 This 2003 SVT Cobra Convertible was factory ordered in the highly desirable Black on Medium Graphite Trim. 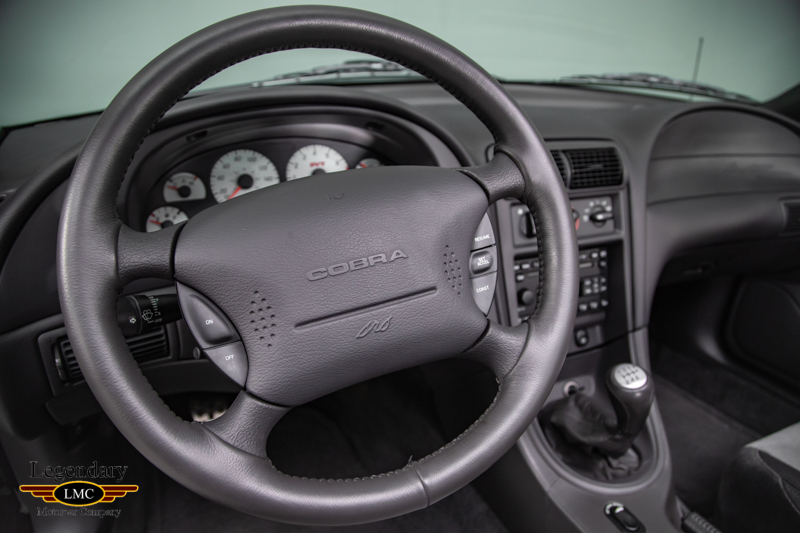 This SVT Cobra came factory optioned with the 17-inch silver 5-spoke wheels. 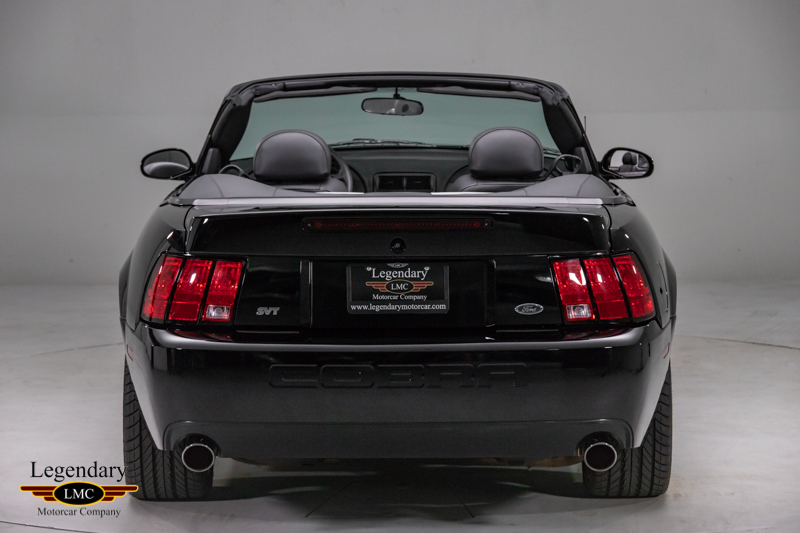 With only 4,035 miles on the odometer, this car was only used only sparingly on nice summer days. 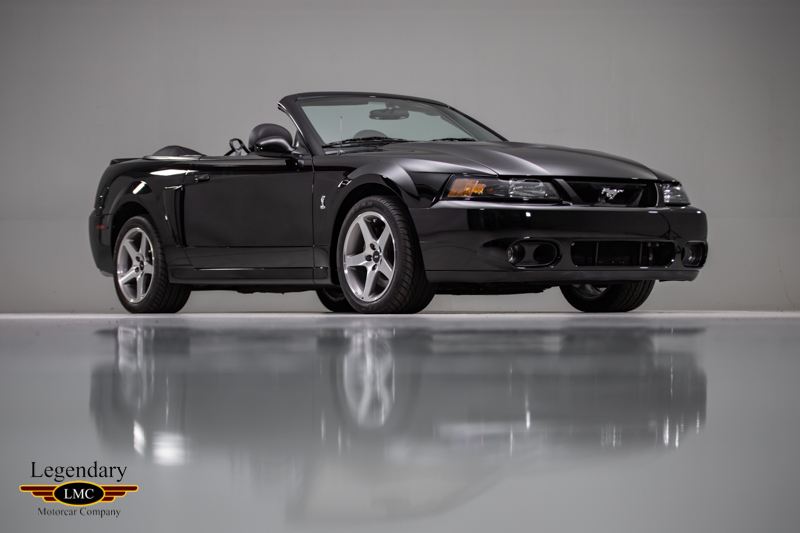 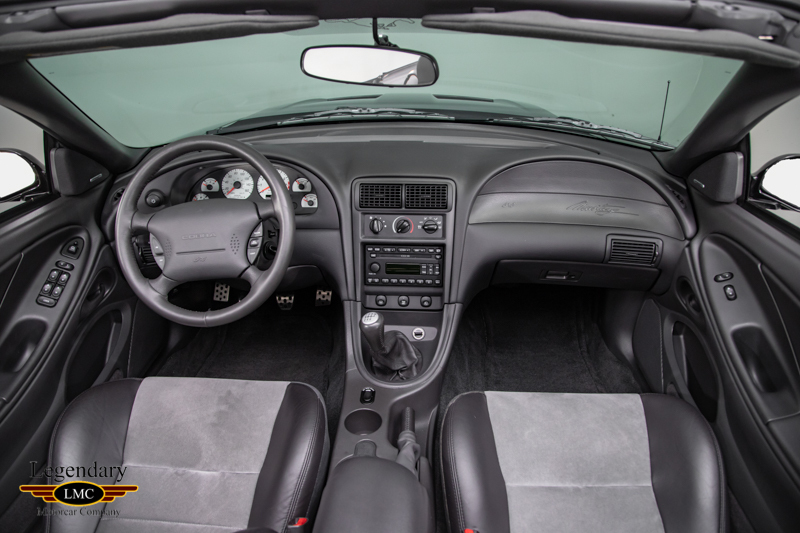 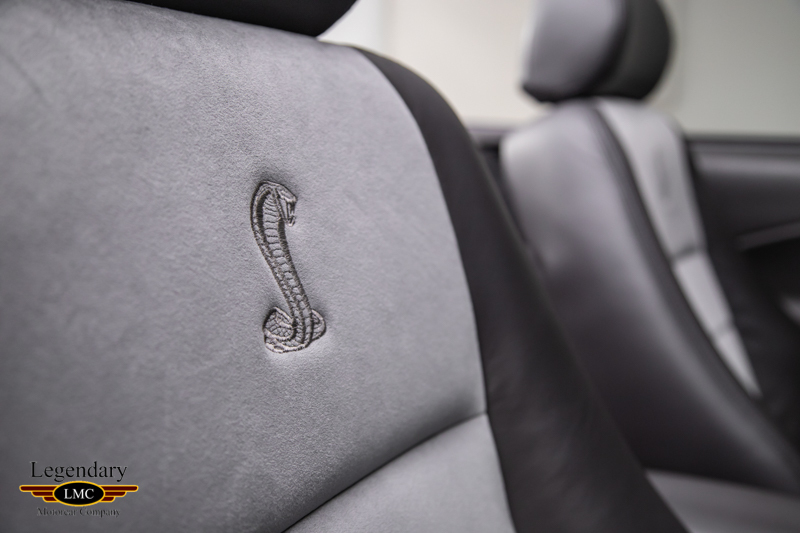 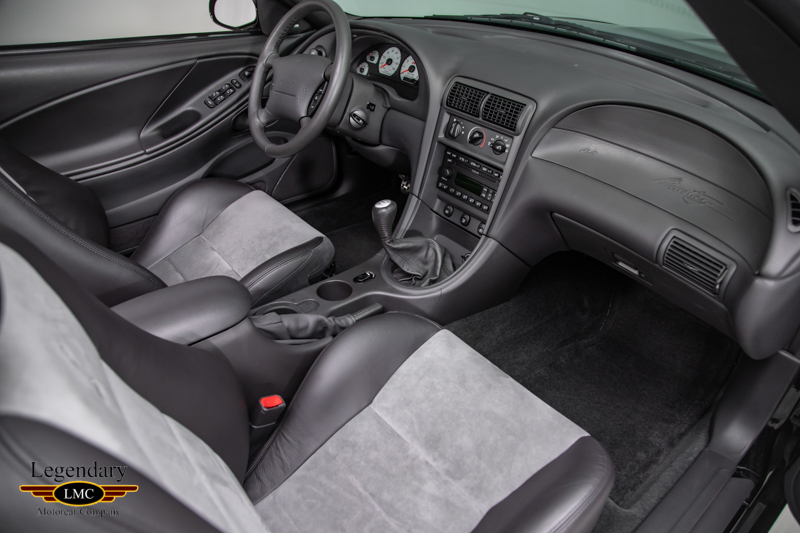 The 2003 Mustang SVT Cobras are becoming more collectible and are a great addition to any Ford collection! 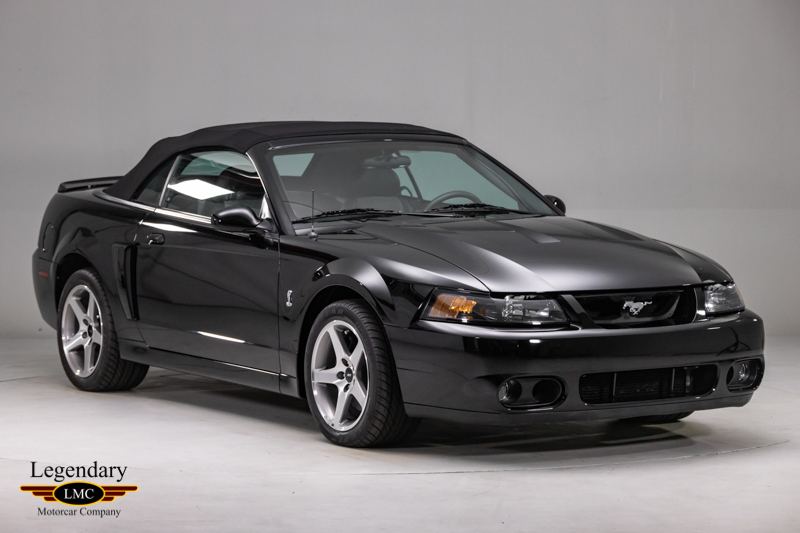 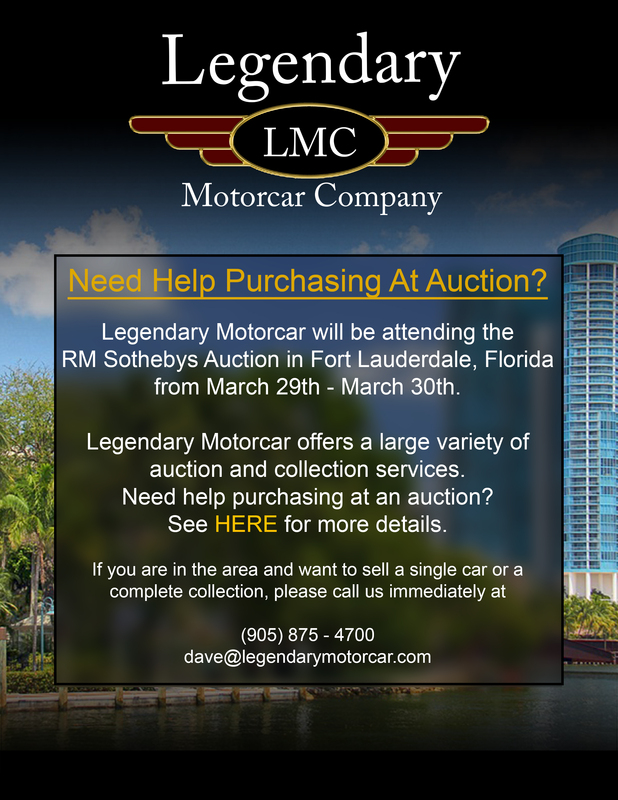 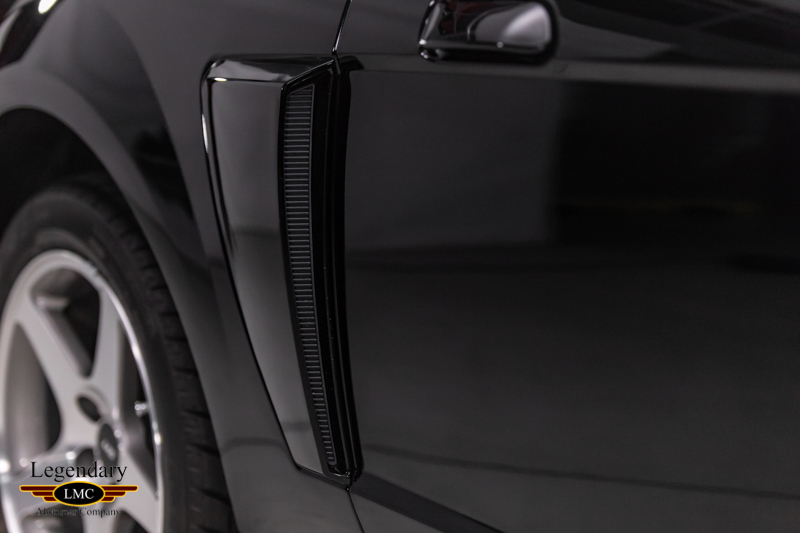 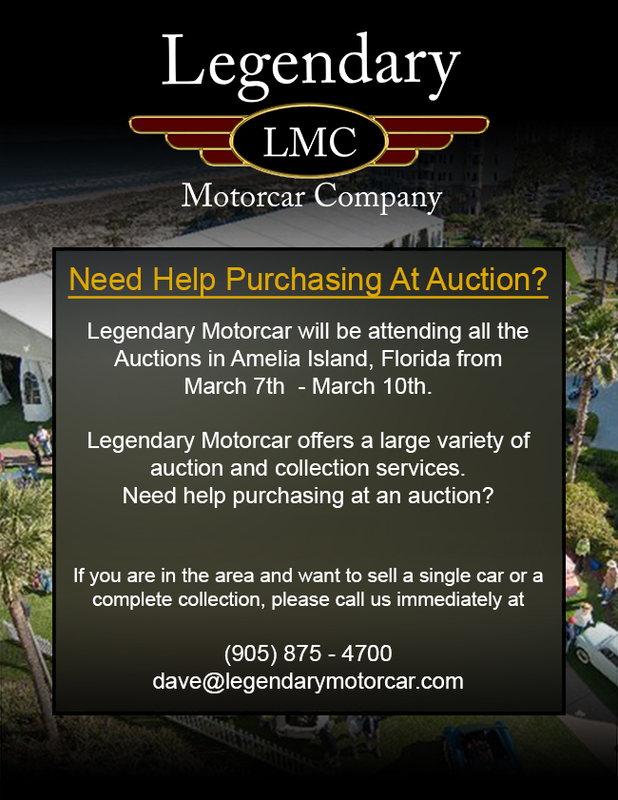 Legendary-Motorcar-Company-Ltd-2018-159 Ford 2003 Ford Mustang Cobra SVT 2018-159 35900.0000 Legendary Motorcar Company Ltd.